48th Anniversary of Woodstock: August 15-17, 2017! 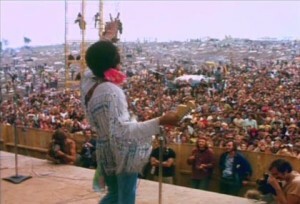 From Woodstock To Eternity will be available on Promotion for the 48th Anniversary of Woodstock. Paperback now $14.95 (Reg $19.95) and Kindle now $2.99 (Reg $6.99)! Here is a brief intro to that time long, long ago, from the intro to the book. August 15, 16, and 17, 1969. Hundreds of thousands of hippies converge on a farm in upstate New York. The Woodstock Festival became the symbol of a peace and love movement that came and went in just a few short years. Though its time was short, the effects and influences of this era were profound, and are still with us today. This book will take you on an odyssey from the development of the Woodstock ideology into the world of international pot smuggling, and through the spiritual victory of one who makes it to the other side.